We have had a wonderful August filled with outdoor swim lessons and a few fun get - aways. But I've found time to sew! 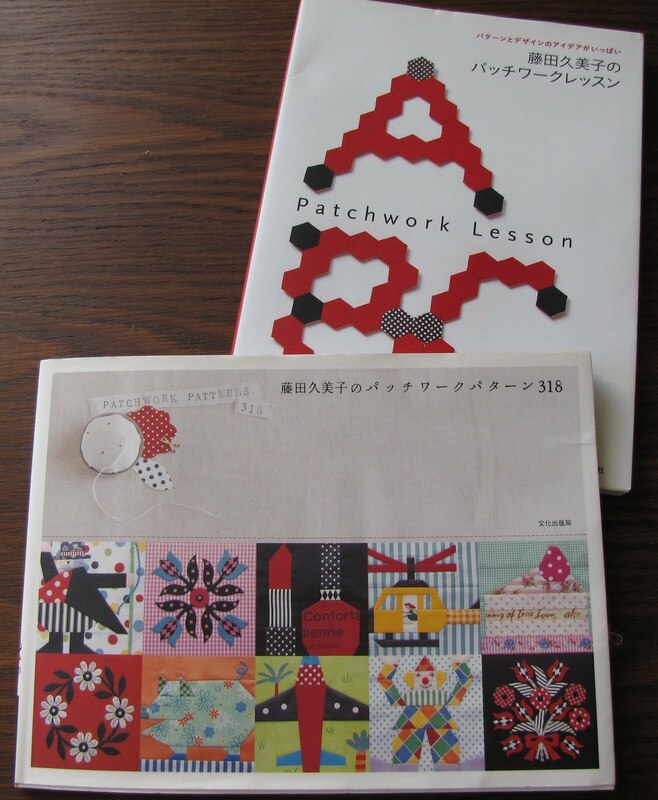 I was so honored to be invited to join an incredibly talented group of ladies in the new Flicrk Group - Patchwork Pattern 318. Each month we pick a theme from the book by Kumiko Fujita and make a block for that theme. The first month Ayumi picked sweets' shop. You must check out her site here. 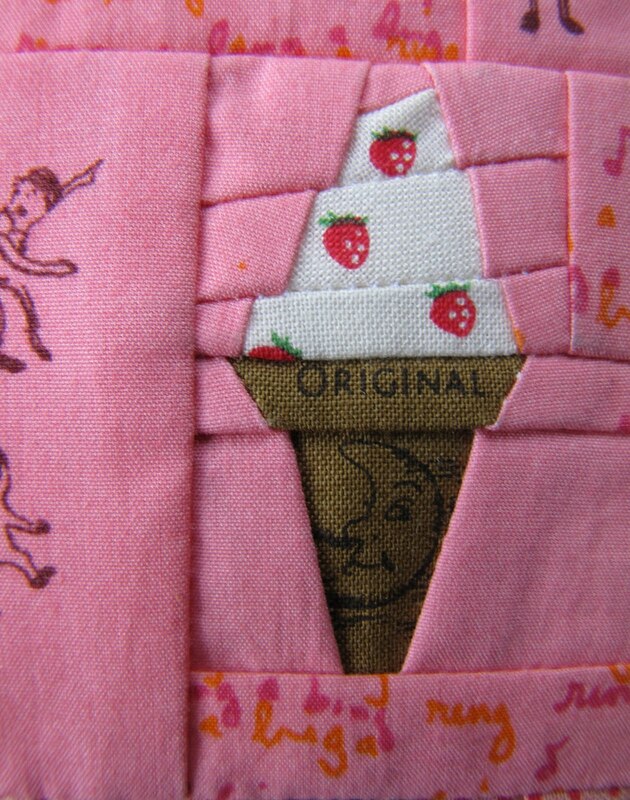 She is an incredibly talented sewist and sells super cute fabric on her etsy shop. 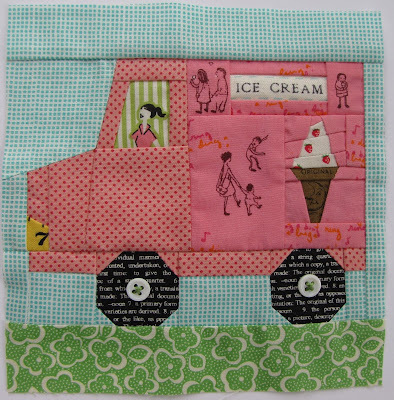 I chose this truck and paper pieced the itty, bitty ice cream cone. 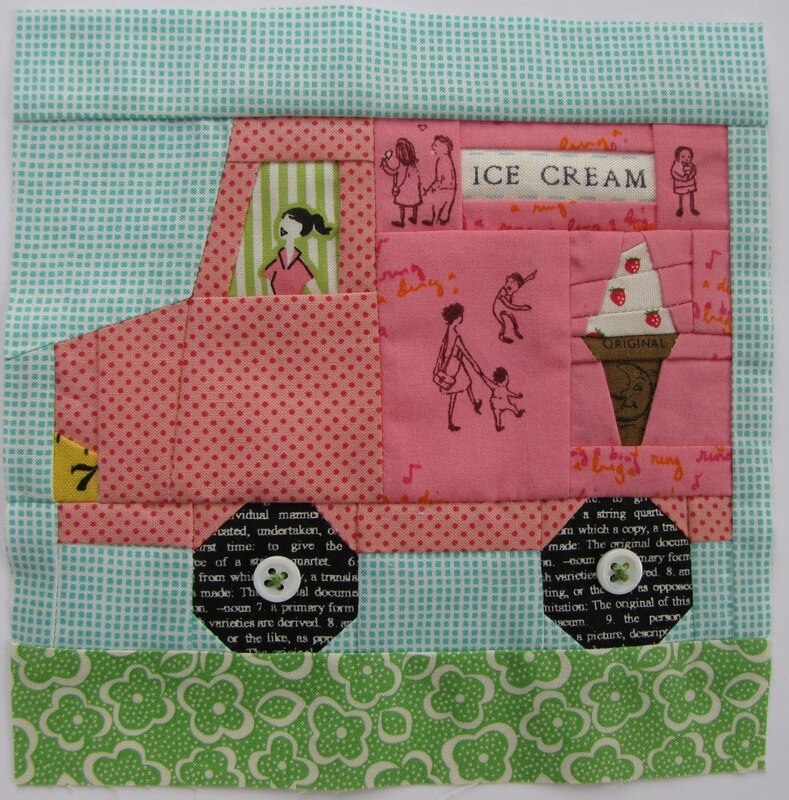 I used a new paper piecing technique from Kerry and you can find it here. She is another incredibly talented gal in the group and you should really take a look around her blog - very inspiring!